Dr. Gabriel Shvets is originally from Brooklyn, New York. He completed his doctoral studies at New York University College of Dentistry and graduated with honors in Implant Dentistry. 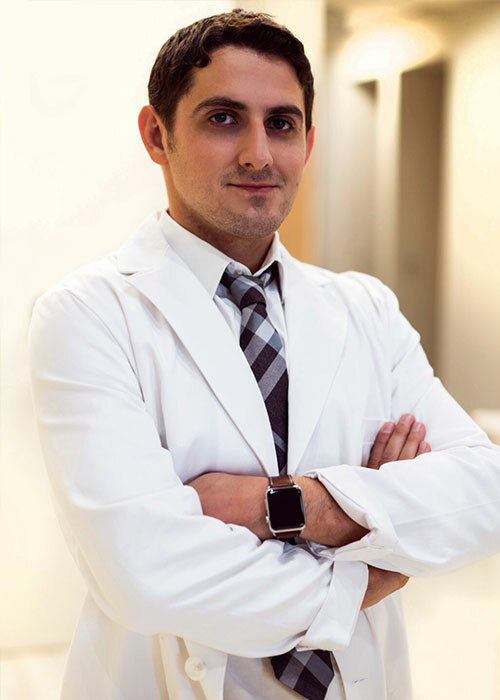 Dr. Shvets completed his general practice residency at Queens Hospital Center, one of the top dental residency programs in the country. Dr. Shvets is the founder and former President of the Technology in Dentistry Society at NYU College of Dentistry, an organization designed to promote technological advancements in dentistry to students and faculty. Dr. Gabriel Shvets is a board certified general dentist licensed to practice in New Jersey and Florida. Dr. Shvets has advanced training in Implant Dentistry, Cosmetic Dentistry, Oral Surgery, Laser Dentistry and Endodontics (root canal procedures). He is also certified to administer Botox and dermal fillers. Certified in nitrous oxide administration, Dr. Shvets is also a skilled provider of Invisalign and ClearCorrect orthodontic treatment. Before opening his practice in Plantation, Florida, Dr. Shvets was a regional “traveling” dentist working in multiple practices performing complex dental procedures including oral surgery, root canals and implant placement. Dr. Shvets enjoys painting, playing basketball to exercise and spending time with his family. He is a black belt in Judo and a 2nd-degree black belt in Taekwondo. Committed to helping others, Dr. Shvets has traveled to the Dominican Republic on dental missions to place dental implants. Dr. Shvets is fluent in Russian and English and also speaks conversational Spanish.